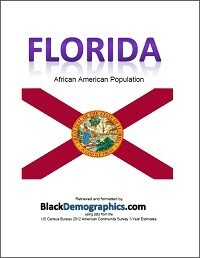 According to the US Census Bureau official population estimate the 2014 ‘Black or African American Alone’ population of Florida was 3.3 million (3,337,159) which was 17% of the entire state. The term ‘Black or African American Alone’ refers to individuals who identify by race as only Black and listing no additional race. 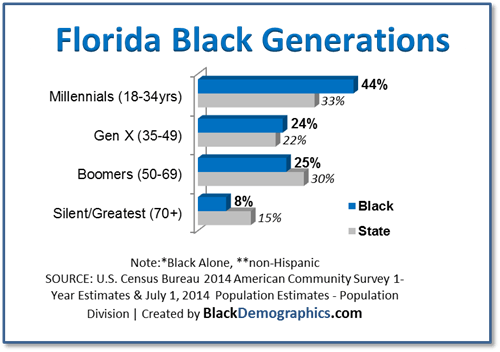 Forty four percent of Black adults (over 18) in Florida are Millennials (18 to 34yrs) compared to 33% of all Florida Millennials. Black Millennials made up the largest of the four generational categories which also include Generation X (35 to 49yrs), Baby Boomers (50 to 69yrs), and the Silent and Greatest Generations (combined 70yrs and up). 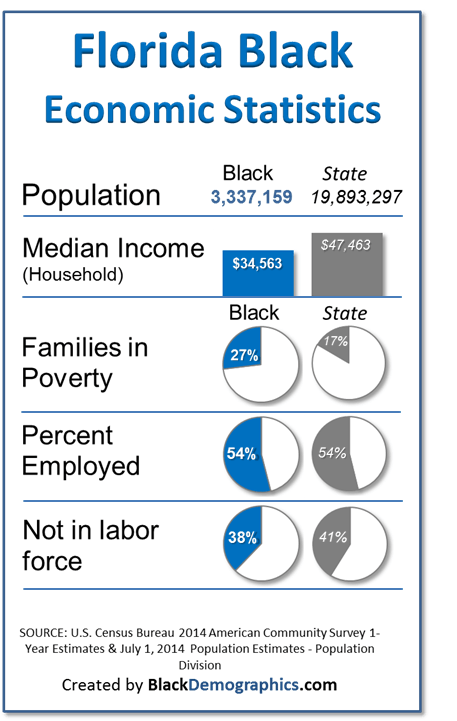 According to the US Census Bureau 2014 American Community Survey 1-Year Estimates, 27% of Black families live below the poverty level higher than the poverty level of the average Florida Family at 17%. The percentage of African Americans over 16 years old who were employed was 54% which was identical to the the overall population of Florida. 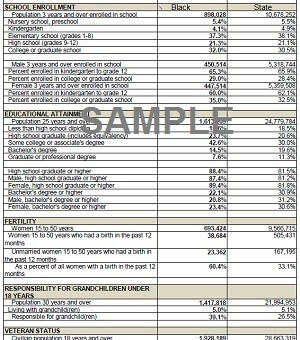 However only 38% of African Americans 16 and up were not in the labor force compared to 41% of all Florida residents. Only 44% of African American householders in Florida are homeowners compared to 64% of all Florida householders. 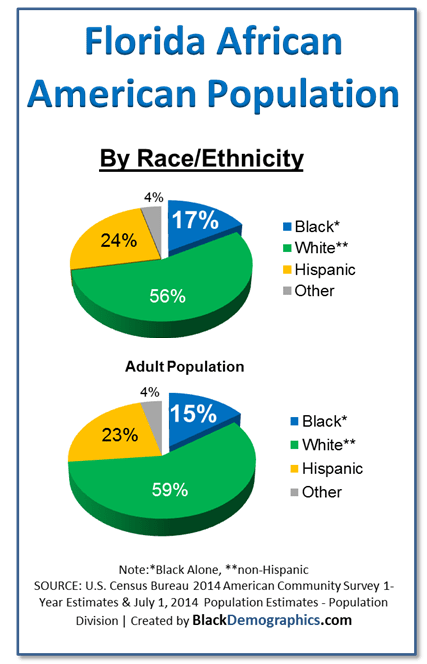 Also only 31% of African Americans in Florida 15 years and older are married compared to 46% of all Florida residents in the same age group. 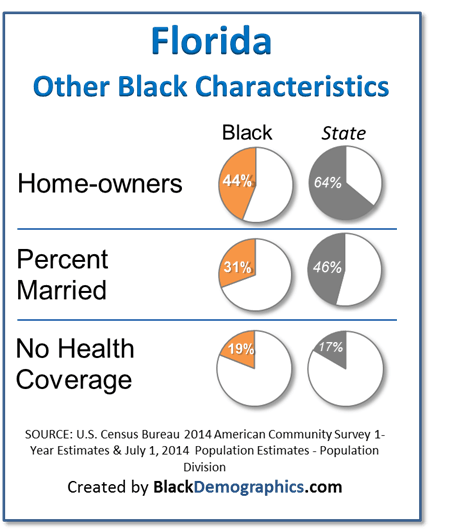 Nineteen percent of African Americans in Florida have no health insurance coverage compared to 17% of all Florida residents. Although many are of Caribbean descent, several of these new migrants are not coming from the Islands or other nations. Many are moving from the Caribbean/West Indian communities of the big cities in the northeast. They move to Florida for the better weather without having to sacrifice culture. There are also approximately 100,000 who claim Sub-Saharan African ancestry. The largest percentages of those who claim a foreign ancestry live in southern Florida communities such as Miami-Dade and Fort Lauderdale. 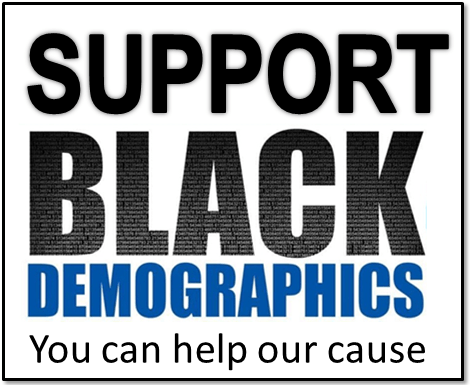 The Black population in Northern Florida consists mostly of African Americans who claim American ancestry in places such as Jacksonville, Sanford, and Tallahassee. Northern Florida is much more like the rest of the south regarding racial demographics and culture.